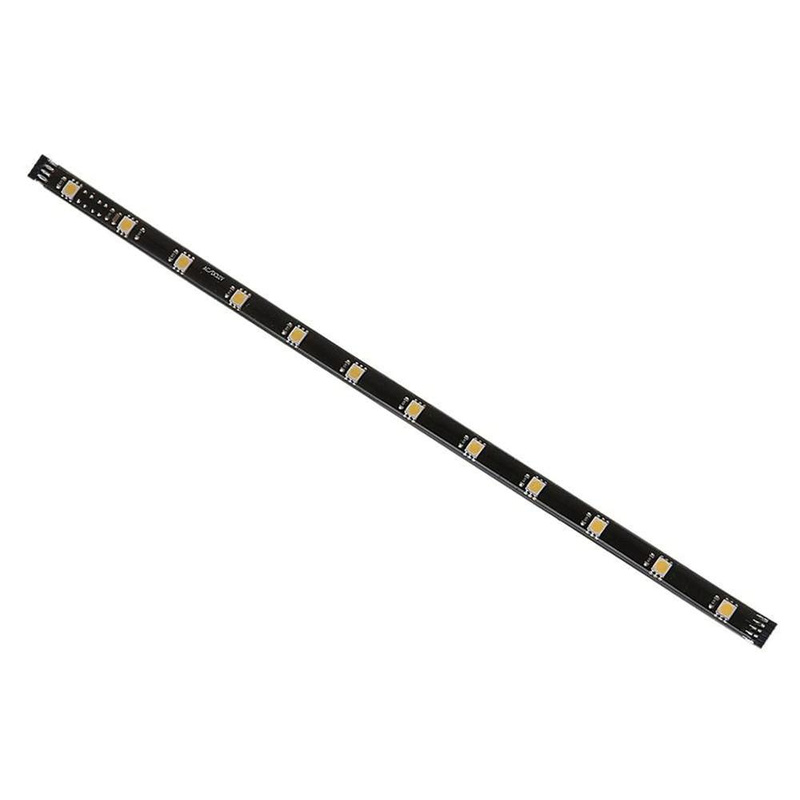 Sea Gull Lighting Ambiance Linear LED tape strip light offers 120-Lumens of light output. It has color rendering index of 85 and color temperature rating of 2700K to ensure optimal light level in the surrounding. This 12-Inch strip light has power rating of 3-Watts. It offers average life of 50000 hours. Bulb comes in black color. It has voltage rating of 12-Volts. It measures 1/8-Inch x 3/8-Inch. Strip light has efficacy of 40 LPW. It is suitable for use in cove, cabinet, toe kick, task/accent, undercabinet and under counter applications. Strip light is cETL listed.